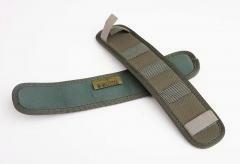 A proper multifunctional strap pad, fits any slings or shoulder straps up to 40 mm in width. 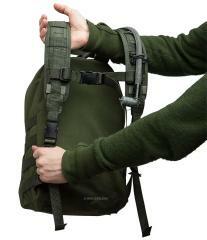 Recommended for backpacks, weapon slings and chest rig shoulder straps. Functions with pretty much any common strap you can find. Single units. If you want these for a backpack, buy two. Two straps of hook-and-loop on both ends of the pad are used to secure the pad to prevent that horribly annoying sliding around. 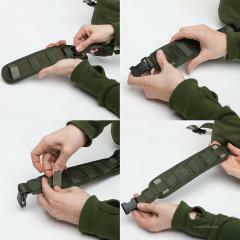 The hook-and-loop straps can be anchored through D-rings or other buckles or more commonly any vertically sewn webbing loops, as pictured. The pad fits straps up to 40 mm wide, the cross pieces are wide enough for 25 mm (1") side release buckles to slide through. 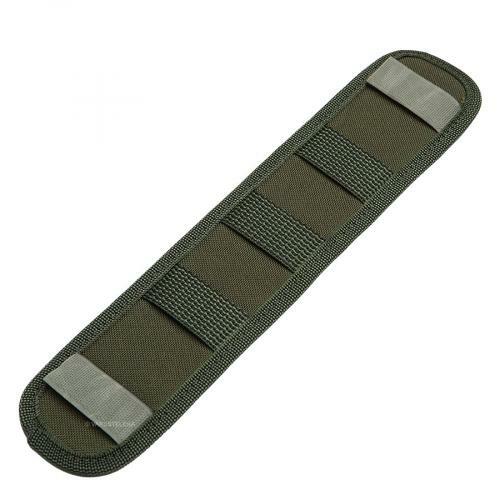 These are made from a Cordura-cellfoam-polyester laminate, the same material is used to make Finnish army backpack shoulder straps. 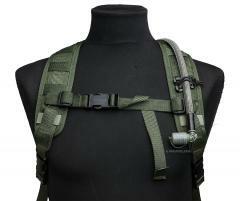 All materials including the webbing and Velcro hook-and-loop are NIR compliant. These are sewn for us by Savotta in Estonia. Savotta is the contractor for all Finnish army tents and load bearing equipment, this gear is made exactly to Finnish military spec. This review is written in the context of being worn on the DP-10. 1. They fit without sliding around. 1. Padding may as well not be there at all. Feels like cardboard or plastic rather than foam. 2. 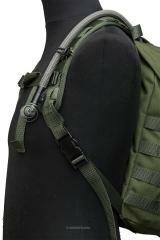 The edges are very hard and will dig into your collarbone if you're not wearing thick clothing or a plate carrier. 3. Very stiff, and thus the collarbone digging. Doesn't like to bend so all the weight from the pack gets concentrated on the two edges. Maybe it'll loosen up with further use. All in all better than plain web straps, but I'm still looking to get something else to replace them. EDIT: Replacement found. 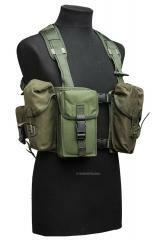 Hazard 4 "Deluxe Shoulder Strap Pads." Cost the same, fit fine. Much more comfy. Savotan jääkäri s reppua varten hommasin ja siinä toimii erittäin hyvin, reppu ei enää valu alaselkään vaan pysyy ryhdikkäästi oikealla paikallaan. Pehmusteet eivät hirveästi pehmusta mutta pitävät hyvin ja repun kantaminen on huomattavasti miellyttävämpä oli kuormaa vähän tai paljon. Hyvät, jämäkät ja napakat. Tekee tst-repusta huomattavasti miellyttävämmän kantaa vähänkään isommalla kuormalla. Vahva suositus. Hyvä, joo. Mutta... saisiko tätä samaa tuotetta kitkapinnoitettuna, vaikka kumipintaisena tms? Nyt luistaa ja valuu minne sattuu, jos asehihnaan yrittää käyttää, ei vaan toimi. Pitää olla pitävämpi. Tuntuu olevan samaa napakkaa materiaalia kuin Savotan Jääkäri-repun olkahihnat. Ei siis mitään ylipehmytta tavaraa jonka läpi hihnat painaa raskaammalla kuormalla, jämäkkyyden ansiosta kuormitus leviää koko pehmusteen leveydelle.